Is Maxim Integrated Products Inc. (MXIM) A Good Stock To Buy Right Now? Is Maxim Integrated Products Inc. (NASDAQ:MXIM) a good stock to buy right now? We at Insider Monkey like to examine what billionaires and hedge funds think of a company before doing days of research on it. Given their 2 and 20 payment structure, hedge funds have more resources than the average investor. The funds have access to expert networks and get tips from industry insiders. They also have numerous Ivy League graduates and MBAs. Like everyone else, hedge funds perform miserably at times, but their consensus picks have historically outperformed the market after risk adjustments. More recently the top 30 mid-cap stocks (market caps between $1 billion and $10 billion) among hedge funds delivered an average return of 18% during the last four quarters (S&P 500 Index funds returned only 7.6% during the same period). Hedge fund interest in Maxim Integrated Products Inc. (NASDAQ:MXIM) shares was flat at the end of last quarter. This is usually a negative indicator. The level and the change in hedge fund popularity aren’t the only variables you need to analyze to decipher hedge funds’ perspectives. A stock may witness a boost in popularity but it may still be less popular than similarly priced stocks. That’s why at the end of this article we will examine companies such as Cheniere Energy Partners LP (NYSEAMEX:CQP), Mobileye NV (NYSE:MBLY), and International Flavors & Fragrances Inc (NYSE:IFF) to gather more data points. Keeping this in mind, let’s go over the latest action encompassing Maxim Integrated Products Inc. (NASDAQ:MXIM). 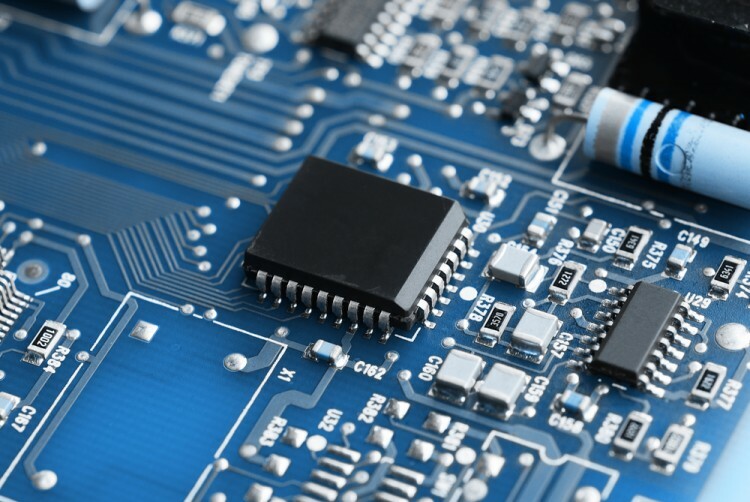 What does the smart money think about Maxim Integrated Products Inc. (NASDAQ:MXIM)? At the end of the third quarter, a total of 26 of the hedge funds tracked by Insider Monkey were bullish on this stock, a change of 0% from the second quarter of 2016. With the smart money’s sentiment swirling, there exists an “upper tier” of noteworthy hedge fund managers who were increasing their stakes significantly (or already accumulated large positions). 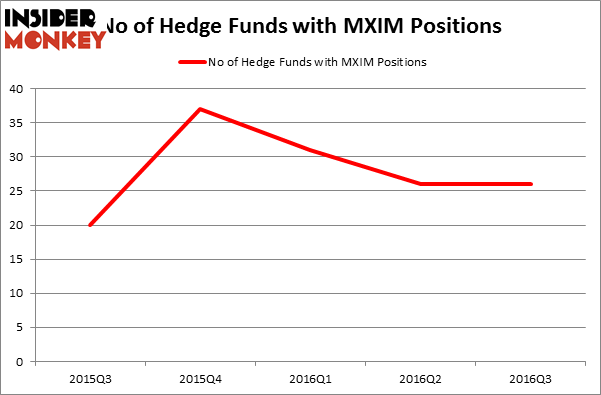 According to Insider Monkey’s hedge fund database, Millennium Management, managed by Israel Englander, holds the biggest position in Maxim Integrated Products Inc. (NASDAQ:MXIM). Millennium Management has a $159.5 million position in the stock, comprising 0.3% of its 13F portfolio. Coming in second is AQR Capital Management, managed by Cliff Asness, which holds a $112.3 million position; 0.2% of its 13F portfolio is allocated to the stock. Some other hedge funds and institutional investors with similar optimism consist of John Overdeck and David Siegel’s Two Sigma Advisors, Jim Simons’s Renaissance Technologies and D. E. Shaw’s D E Shaw. Unfortunately these are all quant hedge funds and none of them are among our list of the 100 best performing hedge funds.